Quality Controlled Manufacturing Inc. (QCMI), a San Diego County-based precision machining manufacturer, announced today it ranked 69 on the San Diego Business Journal’s Fastest Growing Private Companies list for 2012. Quality Controlled Manufacturing Inc. (QCMI) a leading precision manufacturer, is pleased to announce it ranked 69 on the San Diego Business Journal’s 100 Fastest Growing Private Companies list for 2012. 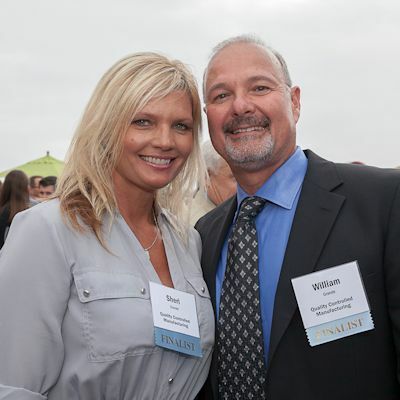 QCMI was recognized as one of San Diego’s 100 fastest growing companies based on the percentage increase in revenue between fiscal years 2009 and 2011. With a reported 63.04 percent growth, QCMI ranked 69. To be considered for the list, companies needed to be privately held, based in San Diego County and have earned at least $200,000 in revenue in 2009. The data sources were: the companies, CPA attestation letters and San Diego Business Journal list files. QCMI executives attended the San Diego Business Journal’s awards presentation at the Paradise Point Resort & Spa in San Diego on July 12. The private reception included attendees from all of the fastest growing 100 companies. 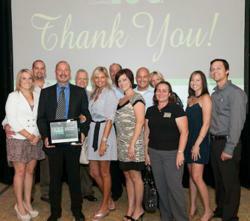 San Diego Business Journal Publisher, Randy Frisch formally recognized and announced the top 100 companies. QCMI guests in attendance were: CEO William “Bob” Grande and his wife Sheri; COO Rick Urban and his wife Serena; HR Manager Becky Quinn; 2nd Shift Supervisor Doug Grande and his wife Natalie; CNC Machinist Billy Grande and his wife Kelly; and CNC Machinist Tommy Grande and his fiancé Haley Howe. QCMI was founded on October 25, 1978 by Bob Grande. The San Diego County precision manufacturer has grown to more than 100 employees. A 65,000 square foot manufacturing facility in Santee, California has nearly a million hours of machining capacity. QCMI specializes in providing a full spectrum of machining services from general to complex components, parts and assemblies of all metals including exotic alloys. Some of the industries QCMI manufactures components for are aerospace, power generation, Department of Defense (DOD), oil and gas, marine, and heavy equipment. QCMI specializes in the precision machining of all metals including exotic alloys. QCMI is ISO9001/AS9100 and ITAR registered and Nadcap accredited. It manufactures components for the aerospace, power generation, Department of Defense (DOD), oil and gas, marine, and heavy equipment industries. QCMI manufactures components with complex shapes, contours, exacting tolerances and stringent quality requirements. Key services include: CNC turning, milling, and grinding; conventional machining; welding; EDM; fabrication; inspection, non-destructive testing (NDT), next higher assembly; and supply chain management. For more information about QCMI visit http://www.qcmfginc.com. For Quality Controlled Manufacturing Inc.